Hi my name is Nicola Young and I am the female member of the “Whisky Boys”. It was during a discussion one evening at my dad’s house (Jim), we realised the wisdom of the “WWW” should be shared (World Wide Whisky), and WhiskyBoys was founded. It was not until I started working alongside my fellow Whisky Boy I realised that I too had developed a taste for the water of life. And as they say the rest is history. In my grown up, day job, I’m a self employed internet marketer, I have customers and contracts ranging from small one off designs to full scale web builds and the internet marketing that goes along with that, including: PPC, Social Media, SEO and Direct Marketing. 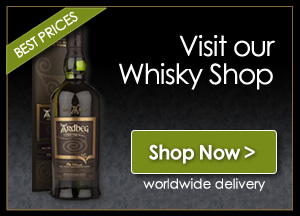 If you want to get in touch email me at nicola@whiskyboys.com or you can catch me on twitter @thewhiskyboys – I look forward to chatting with you. Hope to hear / speak / see you soon!